Patch Notes 1.3.46 [Advanced Server] - News - Mobile Legends: Bang Bang - Powered by Discuz! 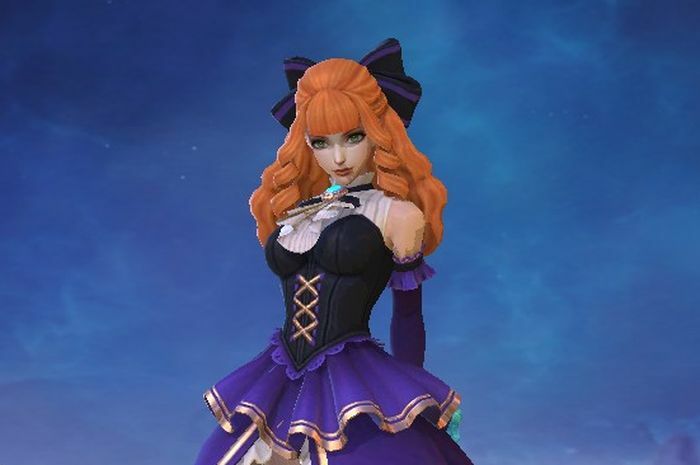 Guinevere is coming to the Advanced Sever as a free hero (Limited). Unavailable for purchasing. Hero Specialty: Violet Princess slays enemies with her super magic! Guinevere sends an energy wave to the designated direction, dealing Magic Damage to the enemies and slowing them down. Meanwhile, the CD of her skills are reduced. Guinevere performs a thump to the designated place. If she hits enemies, she will knock them up by her super magic for several seconds and deal Magic Damage to them. Shortly after she uses this kill, she obtains new skill "Spatial Migration". Guinevere blinks in the designated direction, leaving a magical Image and disappearing briefly. When the Image takes damage, it will deal Magic Damage to the attackers and restore the super magic of Guinevere herself. Guinevere completely releases her super magic, dealing Magic Damage to nearby enemies. If the enemies are knocked up, they will have an additional knock-up effect. When Guinevere hits an enemy that is knocked up, the damage will be increased. Damage dealt to enemies accumulates super magic, and the next basic attack will be enhanced when the magic is full. She then performs a chase on the enemy, dealing Magic damage and recovering her lost HP. Uranus is revamped and released to the Advanced Sever as a free hero (Limited). Unavailable for purchasing. Within this duration, the Mastery Code of Uranus is unavailable. Hero Specialty: Uranus is a Tank with strong ability of regenerating and dealing continuous damage to enemies. Uranus releases two energy spheres that orbit around him. dealing Magic Damage to enemy targets, while reducing their Physical Attack, Magic Power, and their movement speed. Each damage increases leaves a stack on the target and each stack increases the damage dealt by this skill. Each energy sphere can only deal damage to the same target once. Uranus rushes to the designated area, dealing Magic Damage to enemies on the path and dealing Magic Damage to enemies in the area and reducing their movement speed. At the same time, he immediately gathers energy shield to resist damage. The shield explodes when the duration ends or it is broken, dealing Magic Damage to nearby enemies. Uranus releases the energy stored in the body to remove the slowing down effect, obtains an effect of speeding up (decays with the time.) and attaches several stacks of "Radiance", and improves the shield and HP Regen effect. Meanwhile. he is immune to slowing down effects. Lasts for 8 seconds. Uranus absorbs the energy generated by attacks made against him to strengthen himself, regenerating his HP per second for each stack, over 10 seconds. This effect can be stacked up to 20 times. [Vale] Skin - [Cerulean Winds]. Diamond 269. Launch week 30% diamonds OFF. Available from 00:00, January 29th (Server Time). [Vale] and his Skin [Cerulean Winds] will be in a bundle. Launch week 30% diamonds OFF. Available from 00:00, January 29th (Server Time). Spell Curse: Adjusted the HP restored to 8% from 6%. Adjusted Basic HP to 2859 from 2709. Slightly decreased the Mana cost. Shadow Stampede: Slightly adjusted the speed up effect. Vicious Retrieval: Adjusted the resurrecting time reduced by each soul to 3% from 2%. Chrono Dash: Adjusted slowing down effect to is from 1.5s. Zaman Force: Adjusted the immobilized time to 1s from 1.2s. Phantom Steed: Adjusted the increased Physical and Magical Defense to 40/50/60 from 40/55/70. Phantom Stomp: Adjusted Physical Bonus to 1 from 1.2. Chemical Refinement: Adjusted Cooldown to 14/13.4/12.8/12.2/11.6/11 from 12/11.4/10.8/10.2/9.6/9. When using this skill, use "Energy Transformation" to change her bullets. Rapid Touchdown: Fixed a problem where the CD is wrongly calculated when Johnson kills or assists to kill with the item "Fleeting Time". Fixed a problem where the Nightmaric Spawn wrongly deals damage to the turrets. Optimized lots of details in the 5V5 Theme Map [The Celestial Palace]. Fire On! : Adjusted the skill equipping time to 6s from 5s. Added a new equipment item - Evil Hunter. Built by "Malefic Roar" and "Deadly Blade". Fixed some skill description mistakes in the Brawl Mode. Optimized the animation display of the Lord. Instructions: There're altogether 15 players in each match. Players can't team up in this mode. Players can't choose heroes in this mode. All of them are at first a "Spore", evolving by collecting items in battlefields. At last, they can evolve into the Devil. (Devil - Heroes in game, with extra skill - [Devil's Arrival].) Different evolution route has different outcomes. Try to become the last survivor! 60 heroes are available in this mode. Player must be Lv.9 or above and have more than a 90 Credit Score to enter Evolve Mode. To play Evolve Mode, players must download all the additional resources. In Evolve mode, players can get chest points, EXP and BP as usual. Data in Evolve mode won't be accumulated to unlock achievements. And the data won't be recorded in Profile and Leaderboards. Upgrade the permanent [Bloody Mary] to [Cosmic Harmony] by paying only 284 Diamonds. Limited time: 0:00 Jan. 22nd - 23:59, Jan. 28 (Server Time). Now you can pause downloading resources when you're using mobile data. And the download process will be restored by connecting to wifi, restarting the game or tapping on the floating board again. Fixed a problem where the state of members are not updated in time. Added the state "Playing" of members in the Squad List. Optimized the animation display of the event page and the shop page. Fixed a problem where MPL Badges disappear when the esports games are over. Fixed a problem where some players may wrongly be equipped with the "Execute"spell when they are off-line or switch to other apps. I just have a question. Does the weekly free heroes line up (only) same when it goes to the original server? yes, the list of heroes will be the same.